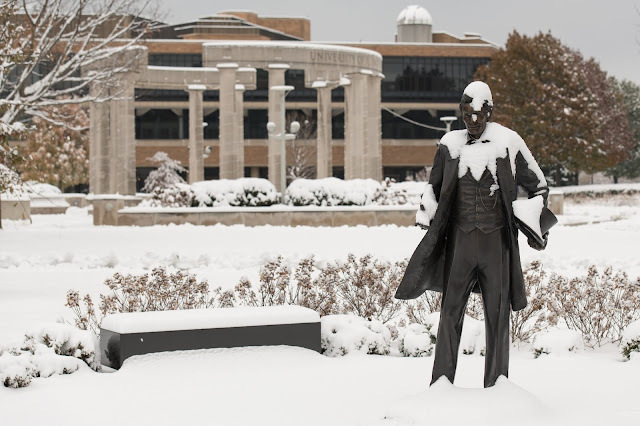 Due to severe cold temperatures, UIS evening classes are canceled for Tuesday night, January 29 (evening classes are defined as any course that begins at 5:30 p.m. or after) and all classes are canceled for Wednesday, January 30. This is for both the Springfield and Peoria campuses. Online classes are not canceled. In addition, Liberal Leave Policy for employees is in effect for tonight and tomorrow. It is important to note that even when classes are canceled the campus does NOT fully close. If, for safety reasons, employees feel they need to leave early or are unable to commute to campus, they should use vacation/personal leave as applicable. Employees with questions regarding requesting absence time due to weather conditions should consult with their supervisors. 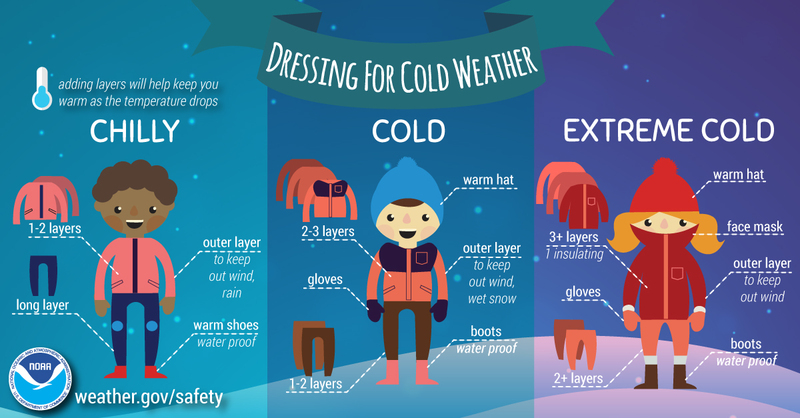 If you must go outside, please dress appropriately and limit your time outdoors. The safety and well-being of our campus community is our highest priority. Closing at 6 p.m. Tuesday, open Wednesday 9 a.m. to 6 p.m. Note: The UIS Performing Arts Center’s Broadway performance of “Rent” is still scheduled in Sangamon Auditorium for Wednesday night, January 30 at 7:30 p.m.